Set in the aerospace-industry area of Huntington Beach, CA, sits GT Collision—a new, high-tech collision center that would bring envy to any business that chooses to call itself “competition.” GT Collision began four months ago by Garrett Tapper in a beautiful building that has its roots set in the racing world. 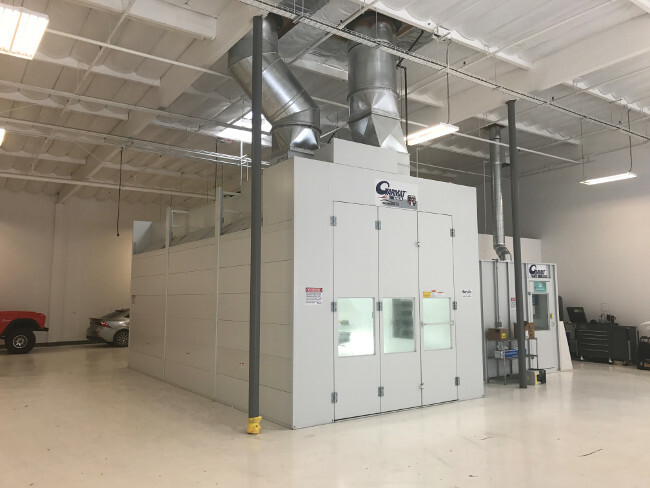 From the brand new stainless steel bathrooms to the recently remodeled offices, to the tool racks that once belonged to the racing team, this building presented itself as the ultimate find in the area and worthy of the vision Garrett foresaw for his prestigious collision center. 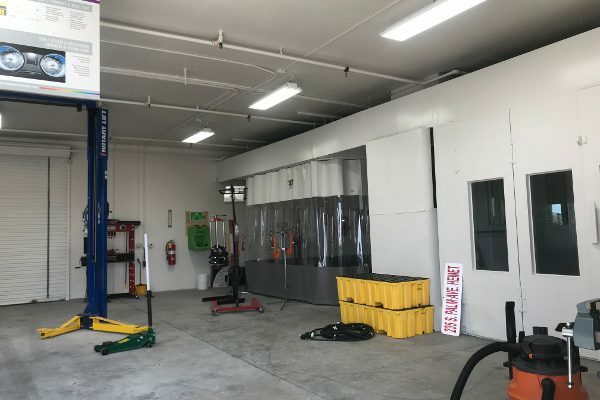 However, located in the City of Huntington Beach, the “dream shop” would soon quickly have a real awakening when dealing with the difficulties of the city’s planning department. The building department of Huntington Beach upholds a strict set of guidelines that it adheres to for allowing new collision centers within the city borders. Garrett immediately enlisted the team at Rely-On Technologies to sit down and meet at the city with its plan checker to review the details of the installation and the type of “green” shop Garrett was looking to build. After several meetings with the city, the project proceeded with the plan submission, all before a quote was even provided for the booth cost! 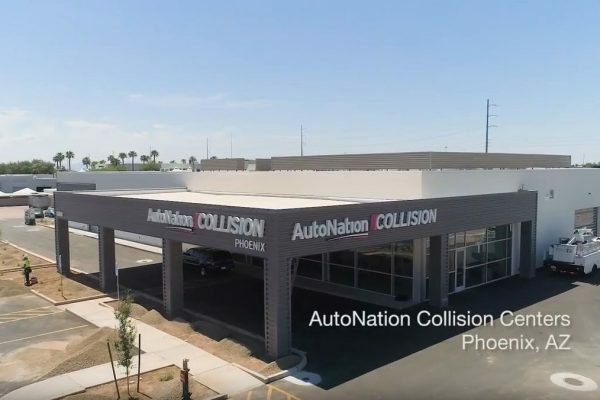 The main objective was to get the booth installed as quickly as possible, and get the doors of the shop open to the public so GT Collision could secure its insurance accounts and get cars moving into the shop. 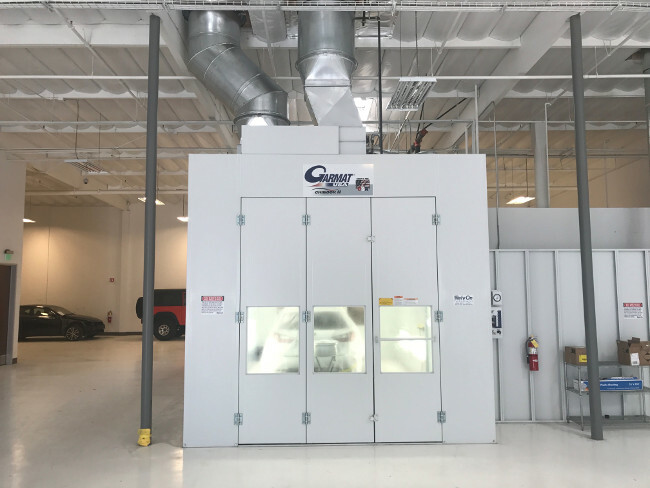 Rely-On was able to strike up a deal with Garmat USA to fast track a spray booth through the production line, and have it landed at GT Collision 4 weeks after it was ordered, bypassing the usual 10-12 week lead time! The team at Rely-On diligently pushed the plan check through the city, and got them approved in weeks rather than months. Once signed off, our installation immediately began installation of the paint booth; walls went up, pipe went in, sprinklers were all connected. The entire process took less than eight weeks from the time the booth was ordered to the time the first car was painted in it. This booth and mixroom installation was completed in record time, and Garrett was able to meet his grand open date of July 1st—just in time for the summer rush. 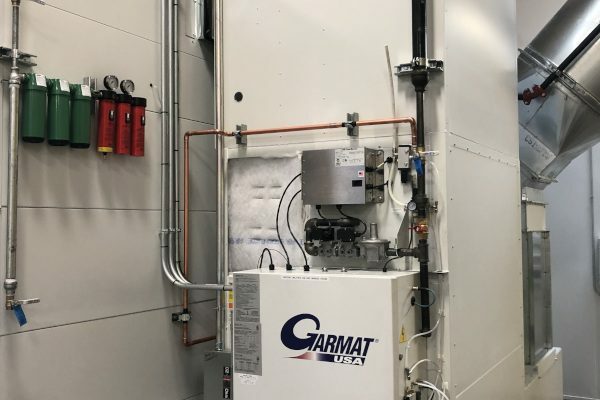 The equipment that Rely-On installed was a 27’ Garmat Hi-Roof semi-downdraft drive thru booth with AQMD Pre-Approved LoNox burner, and a Garmat paint mix room. 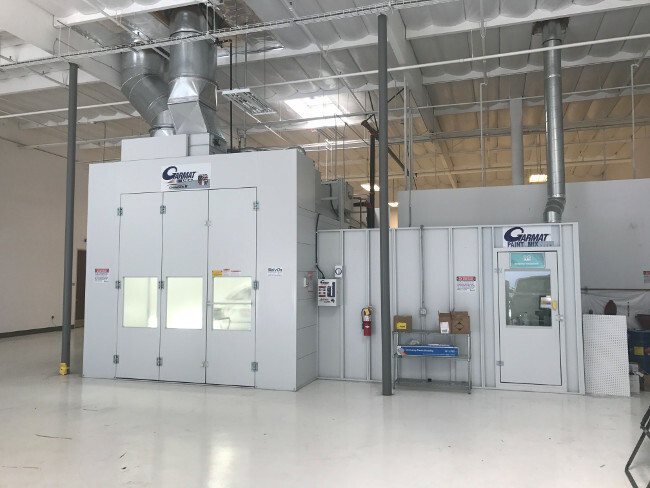 Additional construction services Rely-On provided were the electrical runs to the paint booth, as well as a new gas line run and miscellaneous air drops throughout the building. 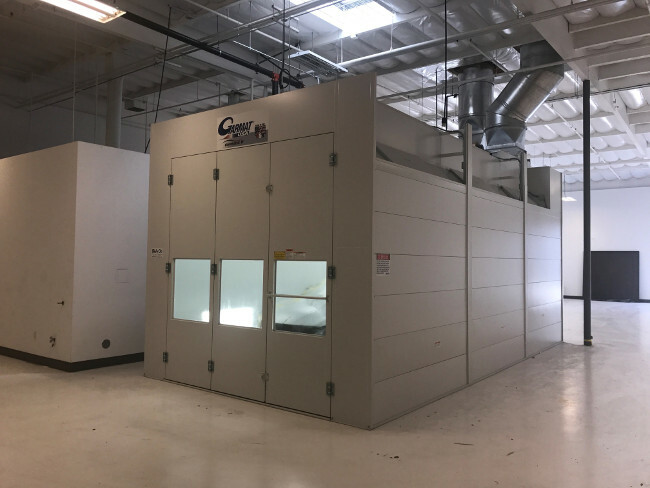 Licensed and bonded, Rely-On Technologies is a fully capable contractor able to complete utility runs throughout the building, on top of the paint booth installation. No job is too large, no job is too small, and no city will hold us back.